Six colleagues from across the university are some of the first to receive new interdisciplinary grant. Troy L. Cox, assistant professor in the Department of Linguistics, wants to know more about your eyes. Well, kind of. He really wants to know more about how your eyes move as you read, and more specifically, about how your eyes move when you read in a second language. Do your pupils focus on the first or last letters in a word? Do they jump from word to word and occasionally backtrack, or do they methodically—and perhaps confusedly—fixate on every character? The recipients of one of BYU’s first Interdisciplinary Research (IDR) Origination Awards, Cox and his colleagues are setting out to better understand how advanced second language learners read in their chosen languages of study, as opposed to how they read in their mother tongues. According to Cox, there is a substantial void when it comes to research in this domain—we know quite a bit about English literacy development, he said, but foreign language reading research is sparse. 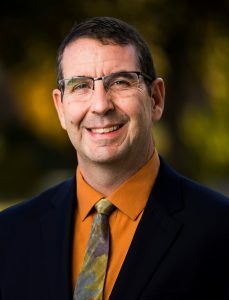 In receiving the two-year grant, Cox and his colleagues hope to help fill the void by taking advantage of BYU’s unique, linguistic atmosphere. “There’s really nowhere else in the States where you have as many advanced language learners as we have here at BYU,” Cox said. A new grant available to researchers at BYU, the IDR Origination Awards are meant to foster interdisciplinary research projects that lead to future external funding. To qualify for submission, research proposals must be the work of collaborative partnerships across BYU’s departments and colleges. At its inception, the idea for Cox’s collaborative research project was the result of shared research interests with assistant professor of psychology, Steven Luke, who had previous experience using eye-tracking technology. By the time the proposal was submitted, associate professor of Russian Jennifer Bown, assistant professor of linguistics Grant T. Eckstein, associate research professor of statistics Dennis L. Eggett, and assistant research professor Robert J. Reynolds from the Office of Digital Humanities had also become part of the research team. Cox and his colleagues will rely heavily on eye-tracking technology to assess 400 second language learners and native speakers in their reading of three different languages in addition to English: Russian, Chinese, and Portuguese. The study of these three languages should illuminate different eye movements according not only to a participant’s second or native language literacy, but in response to the idiosyncrasies of a particular alphabet. As a participant reads a passage on a computer screen, the eye tracker measures eye position every millisecond and can record where the participant is looking on the screen to within a few pixels. The long-term objective of the research is to help individuals from around the world to better develop second language literacy. In the short term, Cox and his colleagues are excited to explore the wide range of questions that the study both raises and seeks to answer. “Most language departments in the United States,” Cox explained, “are almost exclusively [made up of] literature professors.” By contrast, there are at least one or two linguists in each language department at BYU, he said, making the university uniquely positioned to conduct this type of research.